P.T. 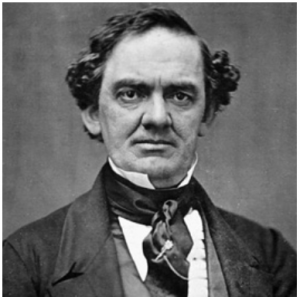 BARNUM’S BANKRUPTCY | Jeffrey B. Irby, P.C. Of course, when Barnum was in his sixties, he became known as a circus king. He began speaking against those who made money through fraudulent deceptions, even testifying against William H. Mumler, the photographer who supposedly took photographs of ghosts, including one of Mary Todd Lincoln with her deceased husband, Abraham Lincoln. My point is this: The word “bankruptcy” is packed with all sorts of negative emotional triggers. It sounds dirty. It’s embarrassing. Just look at what P.T. Barnum went through. But the reality is this: Unless you are famous or otherwise embroiled in something deceptive, your friends and family will most likely not nd out about your bankruptcy, unless you decide to tell them. Your parents and next door neighbor will very likely never run a background check. Your bankruptcy is dull compared to what is going on in the world, and it won’t make the nightly news. But even if your bankruptcy does somehow become common knowledge, it is not the end of your story, noris it the end of your reputation. What you do after your bankruptcy will be so much more important than the fact of declaring bankruptcy. If you show your family and your friends that you are a changed person, they will be impressed with you. They will see that you turned your financial misfortune into wisdom. As did P.T. Barnum. No one remembers his bankruptcy. They remember that he brought wonder, magic, and happiness to their lives.